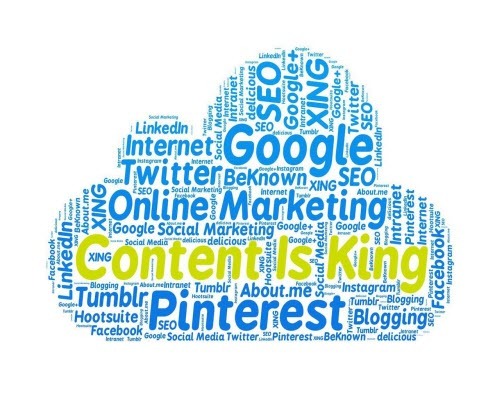 Content marketing is a powerful inbound marketing technique that involves creating and publishing high-quality content that’s relevant to your target audience. This doesn’t necessarily mean that you have to pitch your product or service directly. Rather, you want to produce content that entices prospective customers and clients to engage with your business, which can subsequently lead to sales. In addition to attracting customers and generating sales, content marketing can also build authority and credibility for your business. But how do you know if your content marketing efforts are helping your business? Here are three ways to track your efforts. A strong content marketing strategy is sure to attract leads, but how many of those leads follow through the sales funnel? This is where tracking sales-accepted leads (SAL) comes into play. A SAL is a lead produced through your content marketing efforts that have been accepted by the sales team. Granted, a SAL isn’t necessarily a paying customer (not yet, at least). You want to track the number of SALs produced through your content marketing efforts to determine whether or not it’s having a positive impact on your audience, as well as the overall value of your content. Investing thousands of dollars and 100+ hours into creating a single piece of content may sound wasteful. But if it has attracted 250 SALs since you published the content, it was probably worth the investment. You should also track the brand name mentions generated from your content marketing efforts. The higher your website ranks for its target keywords, the more traffic you’ll receive. Traffic than can be used to sell a product or service. But do you know how many people are searching for your brand name in the search engines? Scouring the Internet for mentions of your brand name by hand is a painstakingly tedious process. So, how are you supposed to track this data? There are dozens of tools and services that business owners can use to monitor mentions of their brand name, one of which is Google Alerts. Many business owners and digital marketers overlook the importance of user sentiment in marketing. Sentiment refers to how the audience feels about a particular brand or interaction with the brand. Of course, measuring sentiment from content marketing isn’t as easy as tracking unique views or clicks — but you can still do it. Evaluating Comments – Go back to evaluate the comments, looking to see what visitors had to say about the content. Were they satisfied or even thankful that you published the content? How many visitors published negative comments about the article? Editing Content – Control sentiment through regular editing. Just because an existing article or content piece has a generate negative sentiment doesn’t mean you cannot turn it around into a positive sentiment. These are just a few of the most important metrics to track with content marketing. You want to produce content that entices prospective customers to engage with your business, which can subsequently lead to sales. But how do you know if your content marketing efforts are helping your business?